You'll have to be quick if you want to get your hands on some of these world icon wines! We have just received our yearly allocation of Ridge wines, so this is your chance to add some world icon wines to your collection. Our allocation is small so please order now to avoid disappointment. Ridge is an amazing winery located at the very peak of the Santa Cruz mountains in California. An estate comprising 39 hectares of vines that were planted back in 1892 by an Italian family, as they believed that great wines came from mountainous locations. An acre of land here now would set you back around $1 million dollars – that's around twice as much as an acre would cost in the renowned Napa Valley! All of the wines are made from estate grown fruit and in a very much hands on way - in fact, the tanks are checked 5 times a day, every day! The grapes are also farmed organically as fog is only lower down the mountain and therefore the grapes are less susceptible to diseases. The estate began commercially producing wine is 1962, with current winemaker Paul Draper starting in 1965. The wines have received so much recognition since that they're now firmly world icon wines, so don't miss this chance to add them to your collection for enjoying now or in the future. A chunky, full of flavour red that is approachable now but will equally age happily for the next 5 or so years. Blackberry, cocoa and liquorice draw you into the glass, which is full of fig and plum fruit. Lovely mineral finish too. From the Lytton Springs vineyards, this is a full bodied red with aromas of vanilla, raspberry and black pepper. Followed by lots of blackberry fruit to taste and an elegant lingering finish. Appealing as a young wine, but this exceptional vintage will mature over the next 10 years. From the Geyserville vineyard, this is not a muscular monster, it's more restrained in style. Perfumed with bright cherry fruit. Elegant, rounded tannins with a pretty blast of berries on the finish. Appealing now, but will reach full maturity within the next 15 years. The most sensuous lots of fruit from the fine 2015 vintage were selected for this wine. Aromas of cassis, anise, and clove spice plus blackberry fruit, fine grain tannins, black olive and forest floor flavours and a long finish. Will age beautifully for up to 15 years. 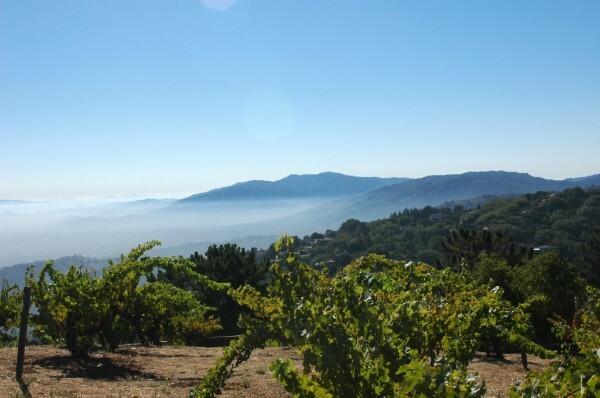 Monte Bello is Ridge's flagship wine – generally released in September and sold out by October! This wine absorbs oak brilliantly because the quality of the fruit is excellent, so the barrels used are the best money can buy. Dark ruby in colour with a real wow nose of toast, mocha, spice, juniper and cassis. Hugely flavoursome berry fruit supported by refreshing acidity, elegant tannins and strong minerality. This elegant vintage shows superb intensity that will develop fully over the next 25 years.